Whatever your character's occupation, you can bet his birth order had an effect on his personality and career choice. Does your hero run a large corporation? Is he a mover and shaker in the business world? Or is he in a creative field such as advertising or entertainment? Does he negotiate well? Speak first and regret it afterward? Maybe he’s the life of every party. Whatever his occupation, you can bet his birth order had an effect on his personality and career choice. First born children generally share characteristics, as do last borns and middle borns. Not all attributes apply to each birth order, but on average studies have shown them to be more true than not. Today, we’ll discuss the peculiarities of the first born and the middle child. 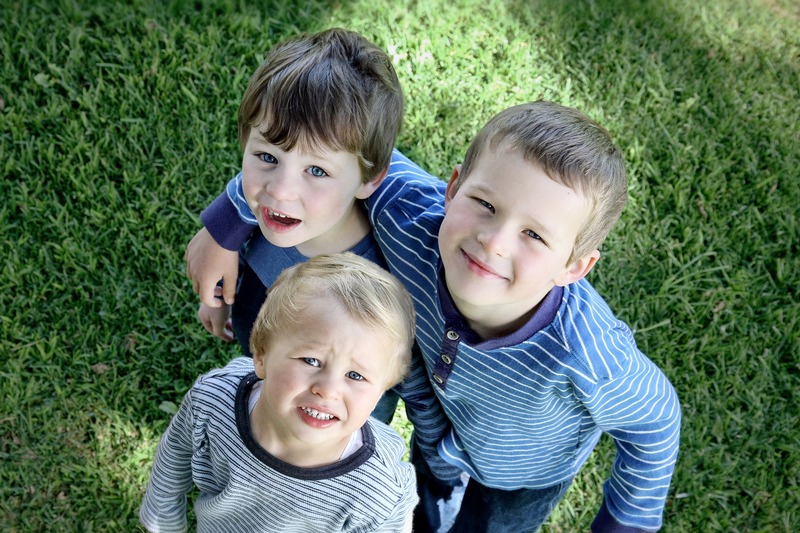 Next week, we’ll look at the youngest, only child and twins as well as the variables that can affect their behavior. First Born children usually have the most attention directed at him/her, even before birth, because the pregnancy was a BIG DEAL. More likely than not, multiple generations pin hopes and dreams on them and pressure them to perform from day one. They are their parents’ “guinea pig”, and their parents often overdo and overprotect their first born child. The first born child grows up faster. Parents hand them responsibility early. He gets things done and has confidence in being taken seriously by others. 21 of the first 23 astronauts were first born children. 2/3 of entrepreneurs are first born children. First born children come in two typical types – compliant/willing to please and assertive/strong willed. The compliant first born grows up as a pleaser of others. Since childhood, he was the one responsible to get things done. His parents depended on him, and it was his solemn duty to not let them down. The second type is the assertive, strong willed type. They are the pace-setters and trend-setters. They have high expectations, not only of themselves, but everyone else. Middle childrens’ attitude and lifestyle plays off that of the firstborn child. Generally, their personalities are the opposite of their older sibling. If he senses he can compete, he will. If the older child is stronger or smarter, the second may go off in another direction. Middle borns may feel like a fifth wheel. They go outside of their family to create a “family” with friends. Middles are the most secretive of all birth orders, because they feel the world isn’t paying attention and chose not to confide their plans. They are the last to seek professional help because they consider themselves mentally tough and independent. Others consider them the most monogamous, and they have a strong commitment to make the marriage work. Professions include sales, art, advertising, a career that involves negotiating or being level headed and unbiased. They are tenacious because they’re used to life being unfair. Like first borns, they come in two types. This entry was posted in Writing tips and tagged birth order, first born, middle child, personality guide, personality types. Bookmark the permalink. Pingback: Keeping my writing organized is important. I think I've found a system.